BCDB Rating: 4.7/5 Stars from 12 users. This page has been viewed 55 times this month, and 8791 times total. Distributed by: Toho Company Ltd. Cartoon Characters: Seita, Setsuko, Mother, Aunt. Voice Actors: Tsutomu Tatsumi, Ayano Shiraishi, Yoshiko Shinohara, Akemi Yamaguchi. 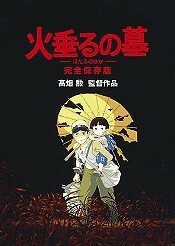 Directed By Isao Takahata, Norihiko Sudo. Produced By Toru Hara, Ryoichi Sato. 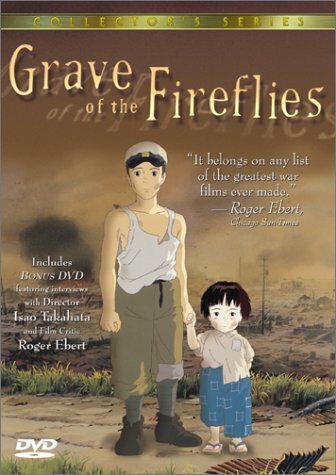 Written By Isao Takahata, Akiyuki Nosaka. Originally Released on April 16, 1988. 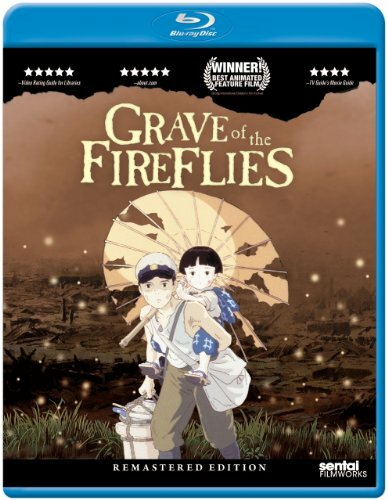 "Grave Of The Fireflies" and "Tombstone For Fireflies." Do you have anything to add to this page? Have we made any mistakes... or do you have any additional information about Hotaru no haka? If so, we would love to hear from you. Please send us a quick note with your additions or corrections to this page, and we will make the corrections as soon as possible! Below are comments about this cartoon submitted by people who have seen this show. Take a look and see what others have said about Hotaru no haka. We want to know what you think, too!! Feel free to share your own opinion- we do want to hear from you! You can add your own comments here. Superb story and unfortunately so realistic. Hotaru no haka by Big Cartoon DataBase is licensed under a Creative Commons Attribution-NonCommercial-ShareAlike 4.0 International License.